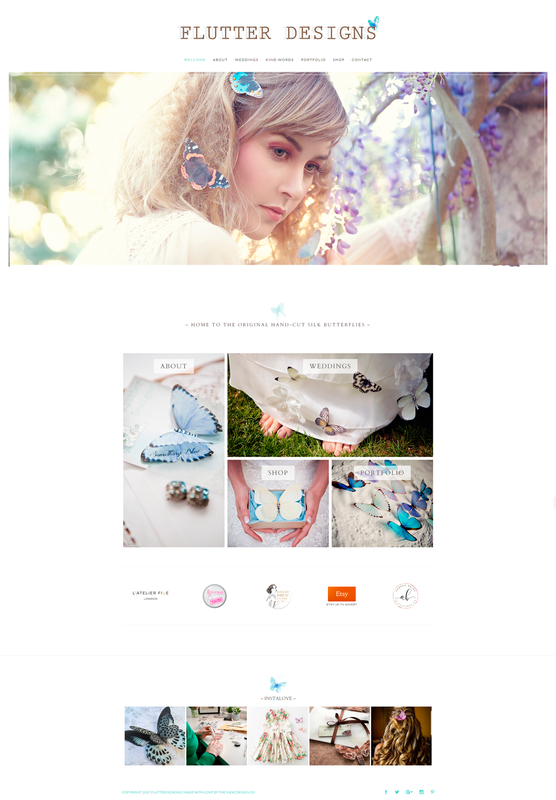 Flutter Designs » The Indie Design Co.
Sophie @ Flutter Designs wanted a professional website redesign as her original site was homemade and lacking in functionality. The brief was to create something clean and creative to display her beautiful butterflies. Sophie also needed her logo updated to be in keeping with her new website.